Old one is worn out? Want to upgrade your card to a key chain card? 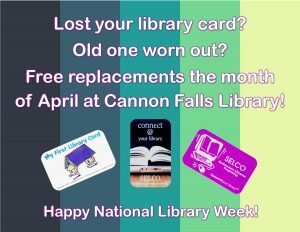 In honor of National Library Week, we’ll be replacing Library Cards for FREE the month of April. Stop at the front desk and we’ll be happy to help you.